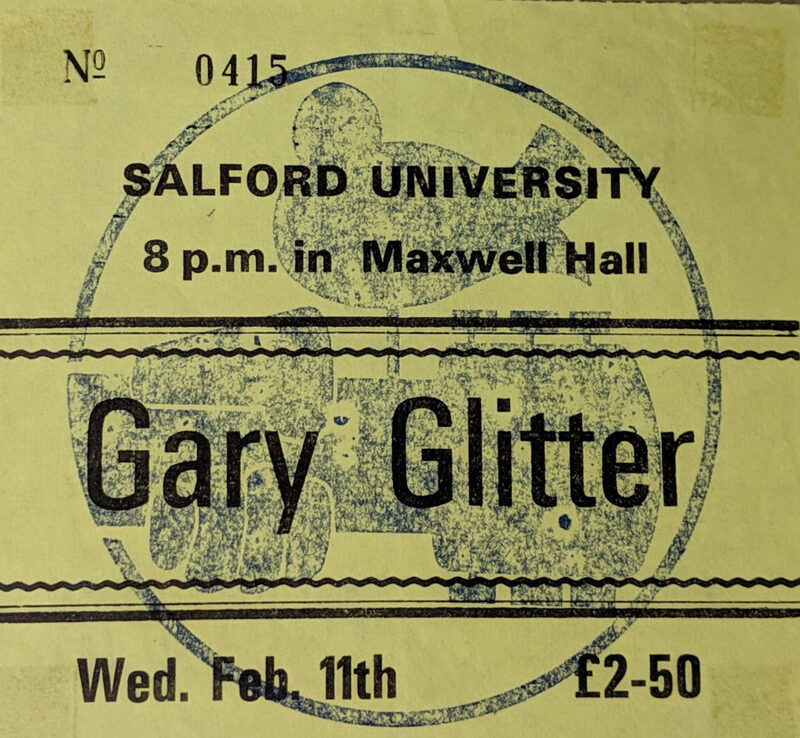 Long before we knew that he was a paedo Gary Glitter played at my university. He was still a bit of a legend so we went along. All I remember was that he wore a silver suit, played all his hits and at one point threw roses into the audience – one of which I caught only to have it wrenched from my hand thorns and all!